The University of Washington Ethnomusicology Division houses over 400 musical instruments from around the world. 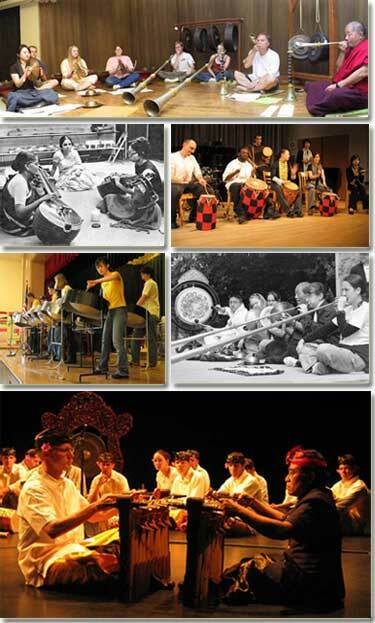 Each year since the founding of the Ethnomusicology program in 1962, one or more international artists have been invited to the campus to share their musical traditions through teaching and performance. The musical instrument collection has grown over the years as the result of these residencies, and its make-up reflects the instrumental traditions of the artists who have been our guests. Additional donations have expanded the collection to its present size. The digitized images in the musical instrument database are intended for educational and instructional use. If you cite or download images, please acknowledge the University of Washington Ethnomusicology Archives. Downloading of audio or video examples is prohibited.